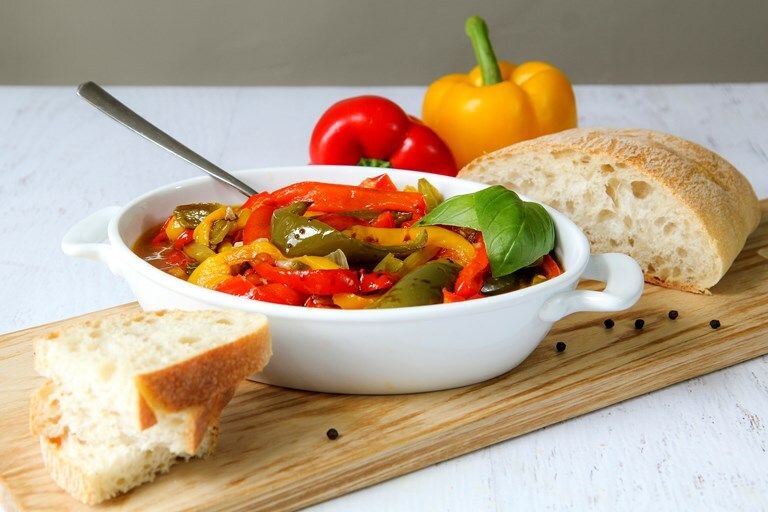 Try something different this barbecue season with Filippo's authentic peperonata recipe. 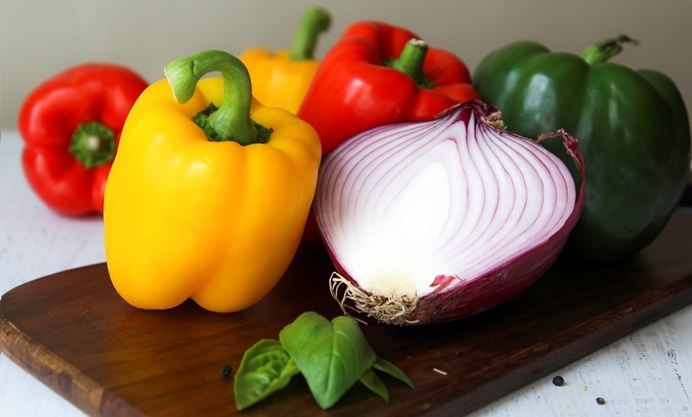 Sliced peppers are slowly stewed with garlic and basil until tender and bursting with flavour. Serve it with toasted bread or grilled meats for a wonderful barbecue side dish. 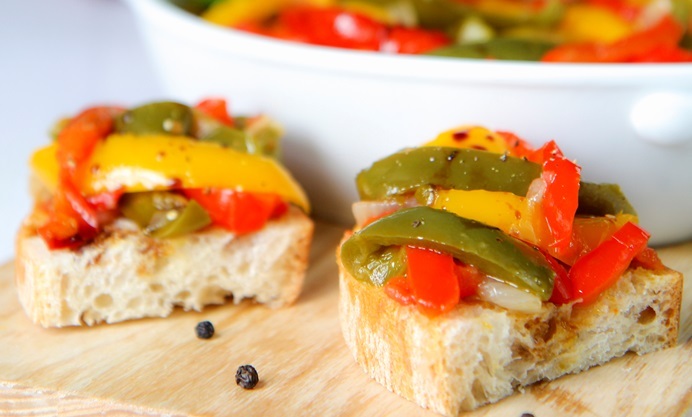 Peperonata is a popular dish in most Italian regions, when the summer comes, Italians prepare this tasty recipe in advance and bring it to barbecue parties. It is delicious served over toasted bread and alongside grilled meats. Although the recipe varies from region to region, peperonata is typically prepared with capers or olives, mint or basil, and can be served warm or cold. This is the Emilian version, prepared with fresh basil and balsamic vinegar. 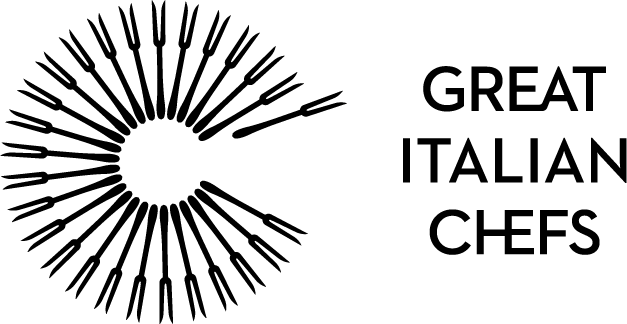 To make an authentic Emilian peperonata be sure to use only the best quality balsamic vinegar, otherwise the finished dish could be too bitter.